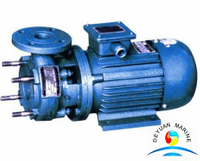 The CLF series marine self-suction vertical crushing pump is driven by marine electric motor. 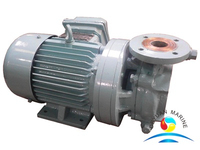 this crushing pump features in integration of self suction, cutting and non-clogging drain, it is able to cut into pieces the long fibers, paper belts and other foreign substance in the sewage before draining them out though unique design of the pump body and impellerflow channel, the pump is enable of self-suction function, as the general clear water pump on which it is not necessary to install base valve. 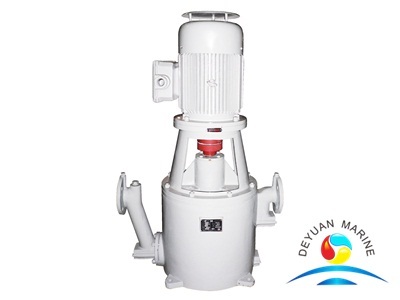 Widely used in light industry, paper making textiled, food, chemicals, power industry, mining, boat, urban sewage drainage and auqatic culture, the CLF series marine self-suction vertical crushing pump is the most ideal pump at present in China to deliver the medium containing soilid particles, fibers, pulps and mixed suspension.